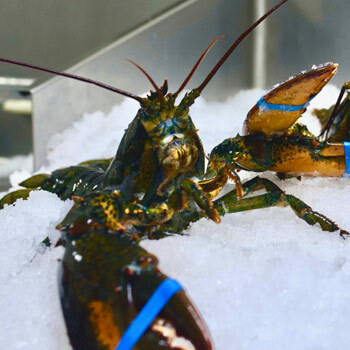 Schneider’s Seafood + Meats is committed to providing our valued customers with the freshest live lobsters. Our 3,000 pound capacity holding tank allows us the flexibility to fill orders on demand. We source fresh lobsters from Canada and Maine and will help you provide the highest quality lobster to your customers. Since first being introduced to the seafood industry in the 1870s, soft-shell crab has become a staple for many restaurants that serve seafood. 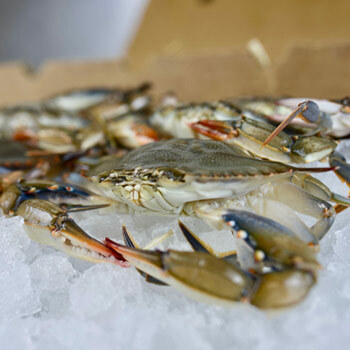 Soft-shell crabs are actually blue crabs that shed their original shells while preparing for growth, and they’re delicious when prepared properly. Schneider’s Seafood + Meats obtains fresh soft-shell crabs daily before distributing them to restaurants throughout Western New York. We ensure our soft-shell crabs are fresh and of the highest quality before providing them to dining establishments. 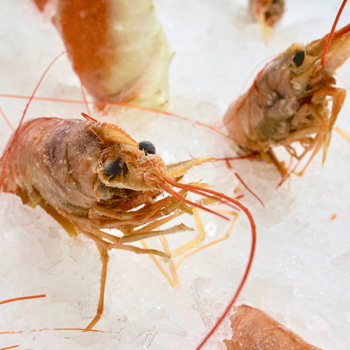 In addition to carrying fresh lobsters and soft-shell crabs, Schneider’s Seafood + Meats offers shrimp in many forms. Current inventory includes shrimp breaded, stuffed, cooked tail-on and off, raw peeled tail-on and off tigers and whites, head-on South American, block shell-on domestic and imported, and EZ peels. Regardless of which type you select, you can rest assured knowing our shrimp is all #1 quality and will taste like they were just taken out of the water. 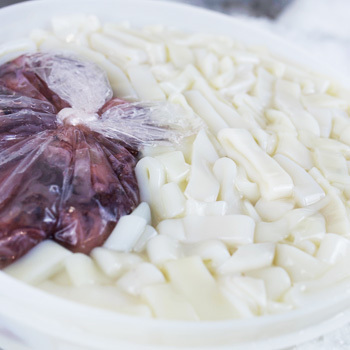 We deliver the freshest squid rings, as well as rings & tentacles straight from the ports in Boston. Both varieties come already cleaned and packaged. The high-quality squid we provide is perfect for fried calamari and can be stuffed or left whole. They're sure to be a big hit at your restaurant! Call or email us today for more information about placing an order. When restaurant patrons order seafood, they yearn for quality and freshness. Schneider’s Seafood + Meats will provide your restaurant with just that, as we offer a variety of seafood options, including live lobsters, soft-shell crabs, and shrimp that are brought in daily for our customers!